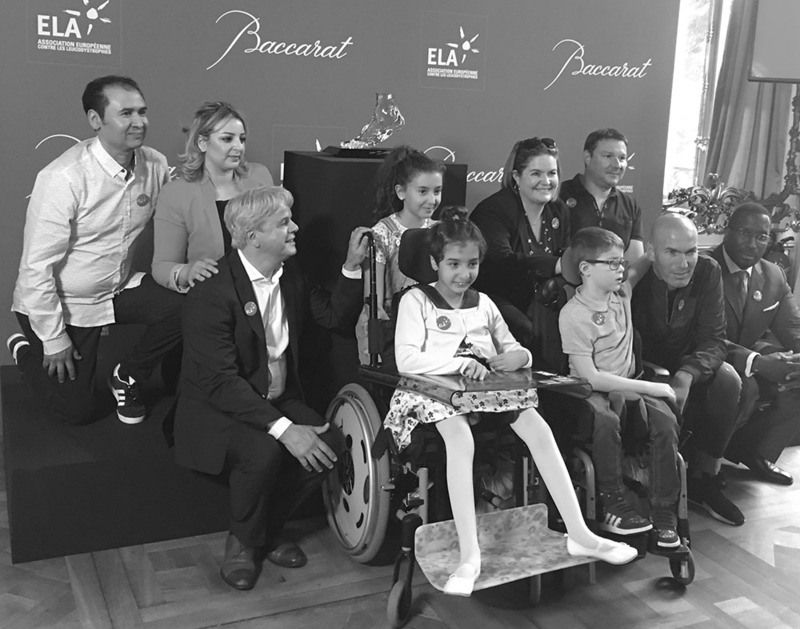 For 18 years, the world football champion has brought the fight of the European Leukodystrophy Association (ELA) to the forefront and regularly participates in numerous events organised for the association’s benefit. 2000 • Zinedine Zidane becomes an ELA ambassador through ELA honorary members Michel and Aldo Platini, and propels the association to the forefront. 2000 > 2004 • “Everyone in Trainers” operations: 2000 in Nancy / 2001 in Toulouse / 2002 in Lyon / 2003 in Paris / 2004 in Chambéry. 2002 • “ELA Zidane” broadcast on France 2, hosted by Michel Drucker. 2003 • “ELA Spring” broadcast on France 2, hosted by Michel Drucker. 2004 • “ELA Everyone” broadcast on France Télévisions, hosted by Florent Pagny, ELA honorary member, and Daniela Lumbroso. 2005 • New “Everyone ELA” broadcast on France Télévisions, hosted by Nagui. • “Celebrating Stadiums” operation in Rennes, in the company of many French celebrities. 2006 • Reading of the ELA Dictation written by François Morel. 2007 • “Stars excel for ELA” broadcast on TF1, hosted by Jean-Pierre Foucault and Benjamin Castaldi. 2008 • New “Stars excel for ELA” broadcast on TF1, hosted by Jean- Pierre Foucault and Benjamin Castaldi. • Launch of the “Save the Children” campaign to fund a therapeutic trial for metachromatic leukodystrophy. • Launch of the first “ELA Gift for Chance” campaign. 2008 > 2013 • Sponsor of the ELA Ambassador Award ceremony. 2009 • Launch of the second “ELA Gift for Chance” campaign at Stade Rennais in the presence of Salma Hayek and François-Henri Pinault, honorary member. • “Song of the Year” broadcast at the Palais des Sports in Paris, hosted by Florent Pagny and Sandrine Quétier, honorary ELA members. • Mont Blanc ascent with Christian Jeanpierre, ELA ambassador. 2010 • New “Stars excel for ELA” broadcast on TF1, hosted by Jean- Pierre Foucault, Benjamin Castaldi, Nikos Aliagas and Arthur. • Launch of an ELA postage stamp with Zinedine Zidane. • Charity football match at Stade Josy-Barthel, Luxembourg, on Europe Day and the 60th anniversary of the Schuman Declaration. 2010 > 2013 • ELA families’ weekend at Disneyland Paris. 2012 • Call for donations as part of ELA’s institutional campaign called “A Hero in Everyone.” “Wear Your Trainers at Work” operation, Avenue Hoche in Paris, in the presence of Amel Bent and Grégoire, ELA ambassadors, and Sophie Thalmann, honorary member of the association. 2014 • “Wear Your Trainers at Work” cheque presentation ceremony at the Boston Consulting Group headquarters in Paris, in the presence of some thirty companies and a dozen ELA ambassadors. 2015 • Preface and promotion of “The art of ELA” comic book. 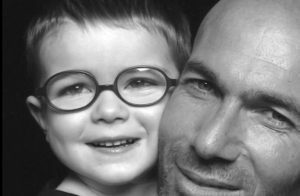 • “Zinedine Zidane and Benjamin” clip. • Reading of the ELA Dictation by Zinedine Zidane. 2016 > 2017 • Sponsor of the ELA Ambassador Award ceremony. 2018 • Launch of Crystalfoot: a limited and numbered edition of 100 Crystalfoots offered to the great donaters. 118 years of support and involvement.